Dairy foods such as whole milk and cheese are the most significant sources of calcium. However, some people cannot consume dairy due to either allergies, sensitivities, or personal choice. This article will provide a list of nineteen calcium-rich foods that come from non-dairy sources. Calcium is the most abundant mineral in our entire body, and it’s a nutrient which plays a huge role in our health. While every cell in our body makes use of calcium, the vast majority (99%) is found in our bones and teeth. From cardiovascular health to our skeletal system, an adequate supply of calcium is essential for our overall health. The recommended dietary allowance (RDA) for adults is 1,000mg, rising to 1,200mg for males at age 71 and females at the age of 51. Where can we get calcium except for cheese and milk? Perhaps surprisingly, there are many sources of calcium out there, and they come from a wide range of food groups. Sardines are small fish that often come in their whole form. As a result, they are one of the most calcium-rich foods due to the many bones they contain. Sardines contain 382mg calcium per 100g, around 38% of the RDA (1). In other words, eat a small can, and you’re about halfway there. Another key benefit of sardines is they contain a substantial amount of omega-3 fatty acids which help reduce inflammation. Other notable nutrients include selenium, vitamin B12, vitamin D, phosphorus and vitamin B3. Key Point: Sardines offer a substantial amount of calcium – 38% RDA per 100g. Personally, I’m not a fan of kale’s taste, but it’s one of the best sources of calcium and provides 135mg calcium per 100g (2). This amount works out to 14% of the RDA. Also, kale contains a wealth of different vitamins and minerals which include vitamin K, manganese, and vitamin A. The science behind the health properties of kale is also impressive. For example, a randomized, controlled trial shows that it can help suppress increases in blood glucose following a meal high in carbohydrate (3). Key Point: Kale is a great provider of calcium – 14% RDA per 100g. Otherwise known as ‘Chinese cabbage,’ bok choy is a nutritious vegetable that is high in calcium. Per 100g, bok choy provides approximately 105mg of the mineral (11% RDA) (4). Aside from calcium, bok choy is also full of vitamins, minerals, and health-supportive phytonutrients. The vegetable is particularly high in vitamins A, C, and K.
Bok choy is part of the brassica family of vegetables along with broccoli and cabbage, and these vegetables contain glucosinolates, compounds thought to have a protective effect against various cancers (5, 6, 7). Key Point: As one of the best non-dairy sources of calcium, bok choy offers 11% of the RDA per 100g. Nuts are one of the highest non-dairy sources of calcium and almonds offer the most. The calcium content is 264mg per 100g, which works out to 26% of the RDA (8). Almonds are an especially significant source of manganese, magnesium, copper, phosphorus, and vitamin E.
When we consider how nutritious almonds are, it’s not surprising that they have documented health benefits. Swapping a daily carbohydrate snack for almonds leads to weight loss and improved cardiovascular markers over two weeks. Almonds improve cholesterol profiles, vascular function, and decrease systemic inflammation. Even a low dose of 10g almonds per day significantly increases high-density lipoprotein (HDL) and reduces triglycerides. Key Point: 100g of almonds contains 26% of the calcium RDA. Kelp is a unique sea vegetable that offers some important health benefits. One of these is undoubtedly the calcium content; kelp provides 168mg per 100g, 17% of the RDA (12). Not only is kelp a good source of calcium, but it also contains high amounts of magnesium, iron, and folic acid. Interestingly, kelp provides some phytonutrients that are exclusive to sea vegetation and appear to have significant benefits. Key Point: 100g of kelp gives you 17% of the RDA for calcium. Okra is a lesser known vegetable, and it has 81mg calcium in every 100g—8% of the RDA (13). It also contains significant amounts of manganese, vitamins A and K, and folate. Studies show that this vegetable also has high antioxidant potential, as well as diabetes and liver-protective properties (14, 15, 16). The contain is very adaptable and can be part of a stew, made into chips, or cooked in the context of a dish. If you need some ideas, then here is a great recipe for crispy garlic-parmesan okra. Key Point: Okra is a decent source of calcium and it is also has some impressive health properties. Similar to sardines, canned pink salmon is also one of the best ways to get calcium. The reason for this is that it typically comes with the soft bones inside the can. Providing you do eat these bones, then canned pink salmon provides a significant 277mg of calcium (28% RDA) (17). Calcium certainly isn’t the only reason to eat pink salmon, and it’s also rich in a wide variety of micronutrients. The major vitamins and minerals include selenium, phosphorus, vitamin D, and vitamins B3 and B12. Additionally, canned pink salmon contains a large source of omega-3 fatty acids and protein. Key Point: Canned pink salmon contains 8% of the RDA per 100g and a vast range of health-supportive nutrients. Chia seeds have been exploding in popularity over recent years; they are a source of omega-3 and one of the most calcium-rich foods. On a per 100g basis, chia provides a massive 631mg calcium, which represents 63% of the RDA. 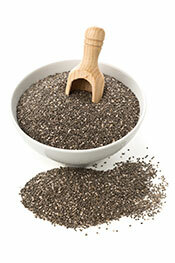 Other notable nutrients occurring in chia seeds include manganese, phosphorus, and zinc (18). Key Point: Chia seeds contain 63% of the RDA for calcium per 100g. Like other dark green vegetables, collard greens also contain a decent supply of calcium. 100g contains 150mg of calcium—14% of the RDA (21). Collards are a member of the brassica family of vegetables and taste similar to cabbage. They are also very high in vitamin A, C and K, folate, and manganese. Key Point: Collards are one of the best non-dairy sources of calcium; 100g provides 14% of the RDA. For anyone who doesn’t know what nopales are, then they are a kind of vegetable native to Mexico. As a type of prickly cacti, they certainly look unique, and they inspire dozens of Mexican dishes. Regarding their nutritional profile, they contain 164mg of calcium per 100g — 16% of the RDA (22). Additionally, nopales are high in manganese, magnesium, and vitamin C.
A range of studies also suggests that they have anti-carcinogenic and anti-inflammatory effects (23, 24). Key Point: Nopales are one of the highest calcium foods, providing 16% RDA per 100g, and they are packed with nutrition. Rhubarb is an incredibly sour fruit that also packs a fair amount of nutrients. A 100g serving of rhubarb contains around 9% of the RDA for calcium — 86mg (25). The fruit contains reasonable amounts of vitamins C and K too. It is a seasonal fruit which is typically available in spring. Key Point: Rhubarb is a seasonal, sour fruit that provides a decent amount of calcium at 9% RDA per 100g. Turnip greens are a member of the cruciferous vegetable family, along with others such as cabbage and brussels sprouts. Per 100g, this calcium-rich vegetable provides 190mg of the mineral — 19% RDA (26). Calcium is not the only positive thing about turnip greens; they provide a substantial amount of vitamins A, C, K, folate, copper, and manganese. In like manner to other cruciferous vegetables, turnip greens also appear to have anti-carcinogenic impacts (27, 28). Key Point: Turnip greens are full of calcium and they contain 19% of the RDA per 100g. Spinach has a case for being the most nutrient-dense vegetable out there, and it is high in a range of micronutrients. In regard to calcium, the vegetable supplies 99mg per 100g which is around 10% of the RDA (29). Spinach supplies a massive amount of vitamins A and K. Furthermore, it provides high doses of folate, vitamin C, magnesium, manganese, and potassium. Spinach is a big source of dietary nitrate, which studies show can have impressive effects on vascular health and help ease arterial stiffness (30). Key Point: Spinach is one of the healthiest vegetables out there and it’s a good source of calcium too, providing 10% of the RDA per 100g. Earlier, we saw that chia seeds are a great source of calcium. Similarly, so are another member of the seed family — sesame seeds. These seeds contain an even larger amount of calcium than chia seeds do. In fact, 100g of sesame seeds almost meets 100% of the RDA. Sesame seeds provide 975mg calcium per 100g — 98% of the RDA (31). Sesame seeds also have a unique taste, valued around the world for adding flavor to a variety of dishes. However, don’t eat too many — the one problem they have is an extremely high omega 6 to 3 ratio of approximately 58 to 1. 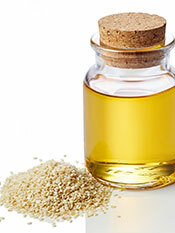 Key Point: Sesame seeds are absolutely packed with calcium and contain 98% RDA per 100g. While dried herbs won’t add a lot of calcium to your diet due to the small serving sizes, they are a significant source of the mineral. For example, thyme and basil provide 1890mg and 2113mg of calcium respectively per 100g, representing about 200% of the RDA (32, 33). With these dried herbs, less is more, and just a pinch adds a great flavor. Moreover, herbs have some of the very highest antioxidant properties out of all foods. Studies show that many dried herbs have medicinal benefits and they can be anti-diabetic, anti-carcinogenic, and heart-protective (34, 35). Key Point: Herbs have substantial health benefits. They are also extremely calcium-rich, containing over 200% RDA per 100g. Beet greens are another calcium-rich vegetable, providing 112mg of the mineral per 100g – 12% of the RDA (36). Like other dark green veggies, they contain a vast amount of vitamins and minerals and they are particularly high in vitamin A, C, K, magnesium, and potassium. As some of these vitamins are fat-soluble, you should eat them with a source of fat if you want to absorb them correctly. Leafy greens make a great combination with extra-virgin olive oil and balsamic vinegar. Key Point: Beet greens provide a reasonable supply of calcium at 12% RDA per 100g. If you haven’t heard of amaranth leaves, then they are highly nutritious and resemble spinach. Regarding the calcium content, 100g provides 215mg of the mineral which works out at 22% of the RDA (37). This amount makes them an excellent alternative source of calcium. However, amaranth isn’t quite as prevalent as the other vegetables in this article. That said, you should be able to pick it up at vegetable markets or in Asian grocery stores. Key Point: Amaranth leaves are packed with nutrients and provide 22% of the calcium RDA per 100g. Mustard greens are a species of mustard plant that is loaded with nutrients and have a somewhat spicy taste. The leaves contain 103mg calcium per 100g — 10% of the RDA (38). As with other dark leafy greens, they provide substantial amounts of vitamin A, C, K, and folate. 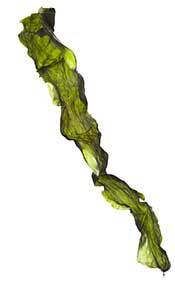 Mustard greens contain an extensive range of polyphenols and antioxidants (39). A significant source of glucosinolate, a compound which exerts anti-carcinogenic effects (40). Mustard greens contain something called sinigrin, which seems to help prevent advanced glycation end products (AGE) from forming (41). Key Point: Mustard greens contain about 10% of the RDA per 100g, but they also offer a range of wider benefits. Another food high in calcium is tempeh. Tempeh is a soy product that is a traditional food in Indonesia, but it is now famous around the world. If you are unsure about the idea of eating soy, then there is a world of difference between processed soy products and a traditional, fermented food. Tempeh contains 111mg calcium per 100g which is around 11% of the RDA (42). It also contains probiotics, and a wide range of nutrients in decent amounts, such as manganese, copper, magnesium, iron, phosphorus, and potassium. Recent research suggests that it has a higher nutrient value and larger preventive effect against oxidative stress than non-fermented soy (43, 44). Key Point: Tempeh is another non-dairy option for calcium; it provides 11% of the RDA per 100g. 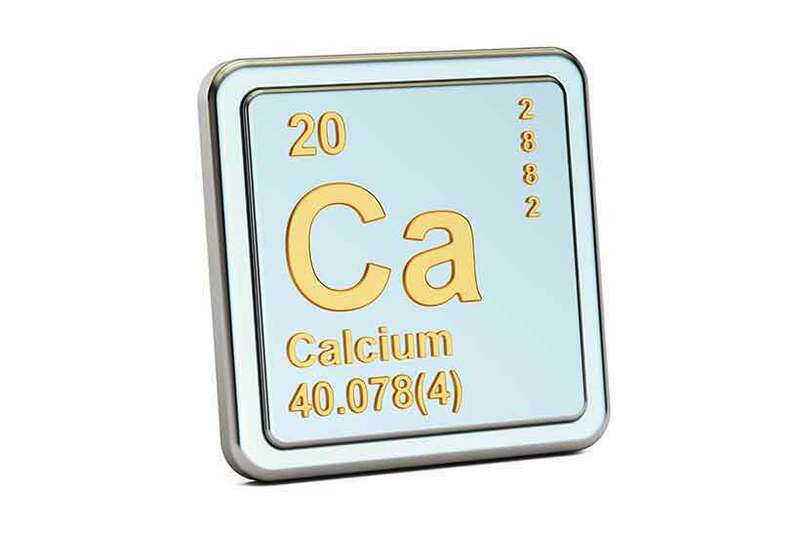 Calcium is an essential mineral which dairy provides in significant proportions. However, if you have any reason to avoid dairy products, then this list might be useful. All these foods are non-dairy and calcium-rich, and they also provide additional health benefits. Water can be a useful source also, depending on the water. Generally, mineral waters are high in calcium. Our well water is chockful of limestone, to an annoying degree. Also bone broth. I know the nutritional databases don’t rate it as a good source, but if you boil until the bones are crumbling, no way there isn’t significant calcium in there. Maybe – it would be good if there were some figures for that though. Are you aware of anything? Indeed, it supports cell structure and growth! Thanks for spotting the mistake – will edit now.